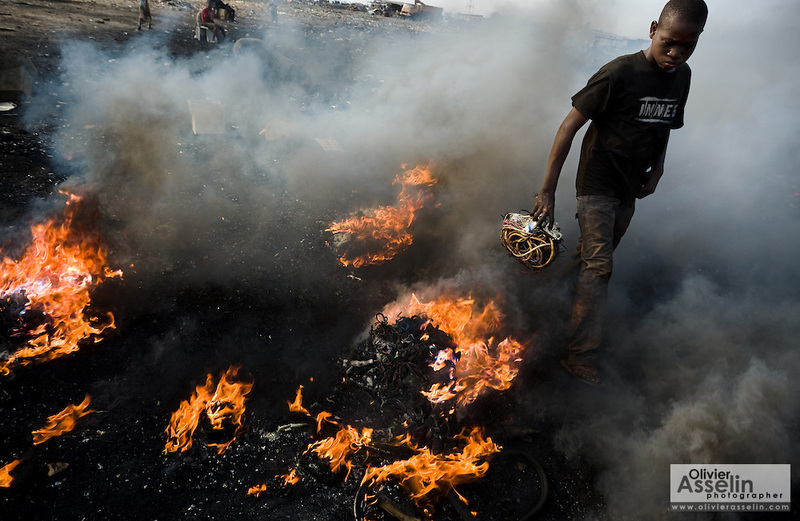 A boys walks through smoke as he carries a ball of cables that came from computers and other electronics near the Agbogboloshie market in Accra, Ghana on Thursday August 21, 2008. Boys use fire to burn off the plastic off cables and extract the copper that can be sold for money. Half a kilo of copper will sell for about $2..